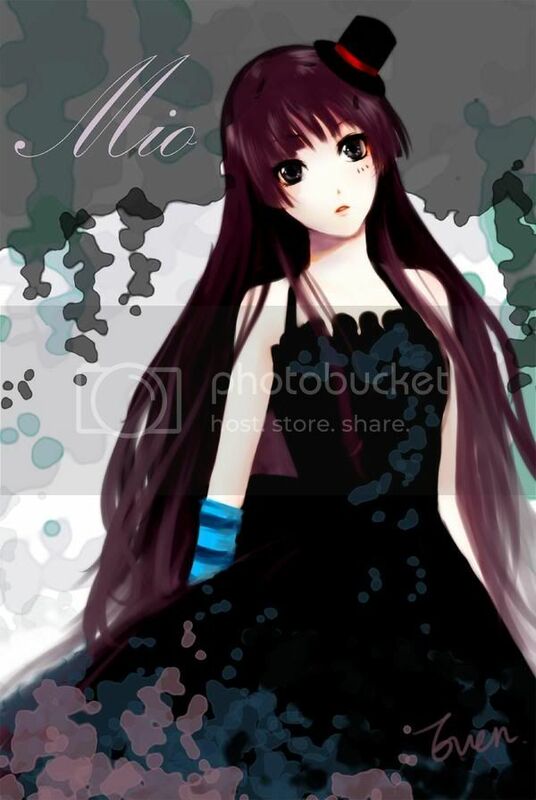 *sigh....hi every one....as you can see I'm kinda bored..and like all my other attempts...this will probably be a fail...well..anyway.......i thought id make a thread where you post a random, or favorite picture of your fav anime characters. 1.small description of why you like the character or picture. 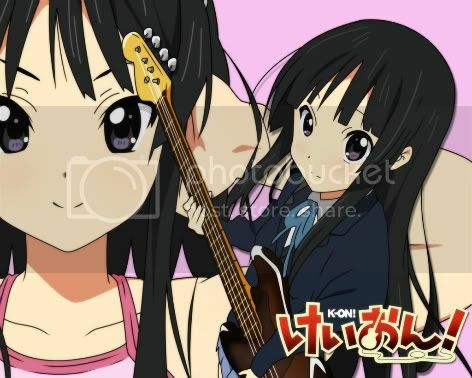 no surprises here, you probebly already know but this is probably my fav anime character, her name is mio akiyama. and i don't think i need to go into detail about this one because anyone who managed to find this place basically knows how much she pwns....so i chose one of my favorate pics, yay shamisen. 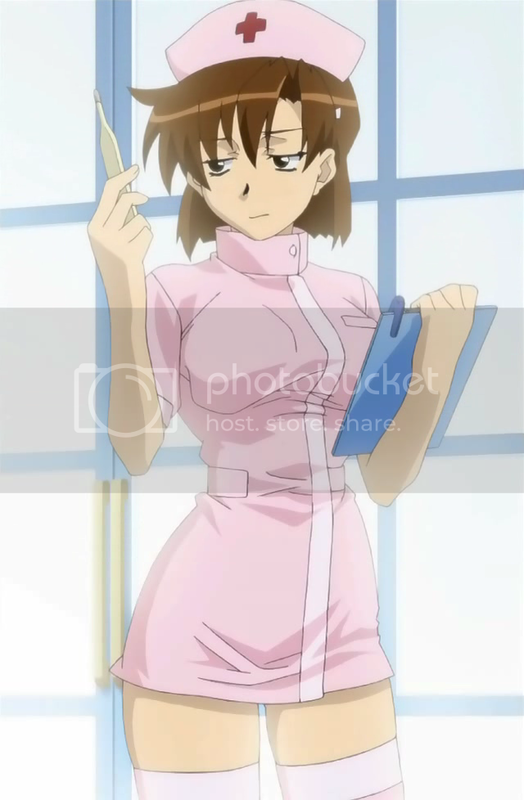 My favorite character from recent anime has been Hinako, from Issho ni Training. 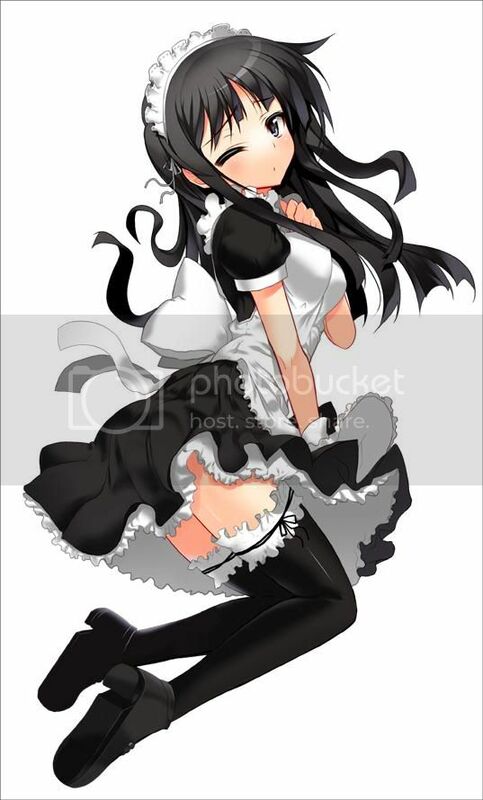 This particular character is the combination of everything I find attractive in a girl: short brownish hair, a well-endowed but not gargantuan bust, a slightly muscular build, and VERY cute looks. Her perky attitude is also very endearing. Also, my recent exercise attempts may have something to do with my interest in her. Limit two per post eh?? 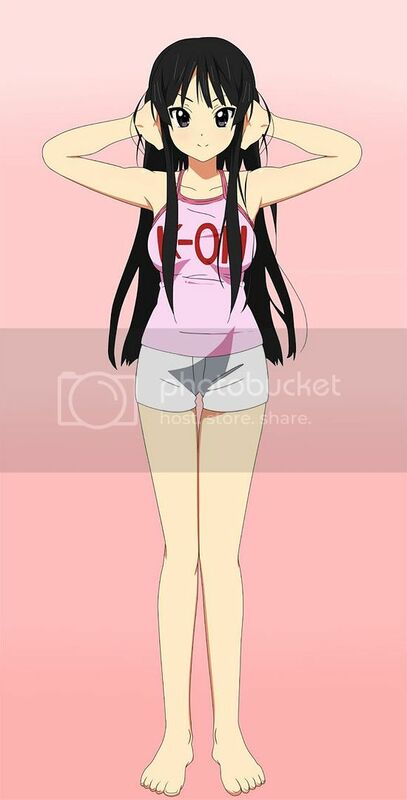 Issho ni Fitness is so popular, even Mio's getting in on the craze. Not only is she armed she's in disguise too..
Ponytails do not turn me on, oddly enough. They can look nice on some girls... but it's rare that I prefer it to hair down. Also... they have to be high ponytails, rather than like I have my hair. 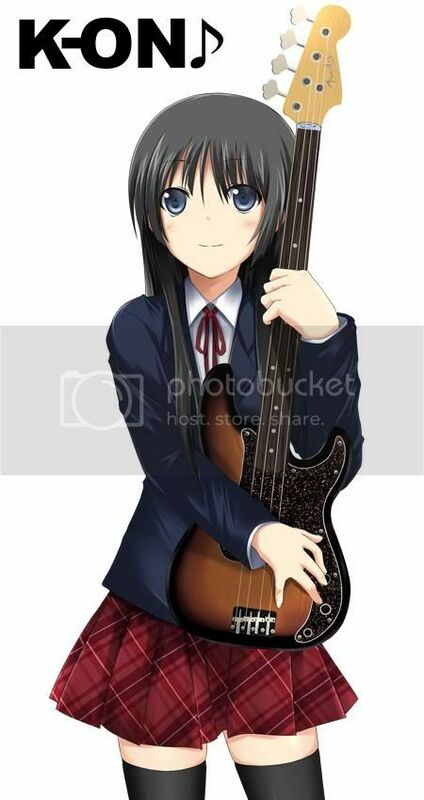 Mio is no different... hair down > up. 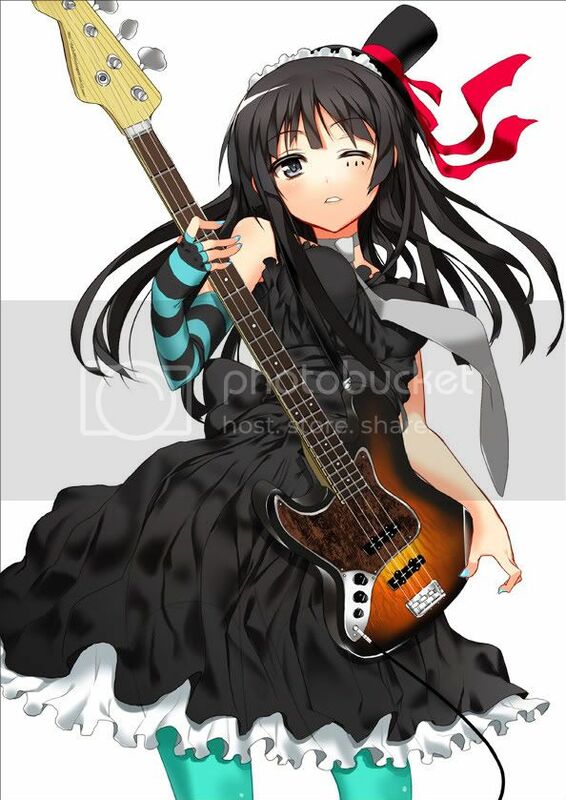 And yeah... Mio's canon sat-around-the-houes clothing = win. well actually I'm the same as jasper, i always prefer down, but up is nearly as cute. I'm a pony tail person. alot of the time. something about it I just find very cute...but then again its usually the girl herself that captures the attention, alot of the time the hair can be up/down, I don't care. Is that Kazumi Mizuho from onegai teacher? 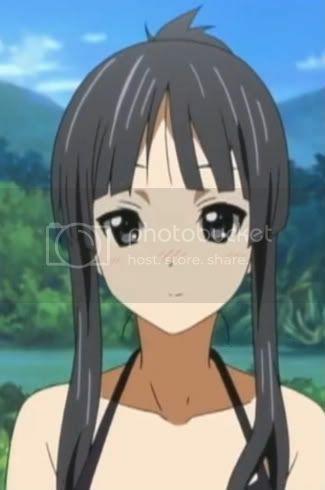 xsirhc wrote: Is that Kazumi Mizuho from onegai teacher? just wondering, what are the rules here? Images uploaded to the site have to be within 640x480 but what about images hosted elsewhere, such as above? 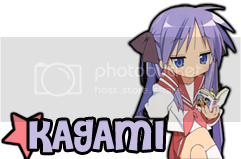 Any image you post on the boards using the IMG tag, whether it's uploaded or hosted offsite, has to be less than 640 px in width, otherwise it will stretch some of the skins. As for how tall it is, it really doesn't matter, as long as it's not ridiculously huge. 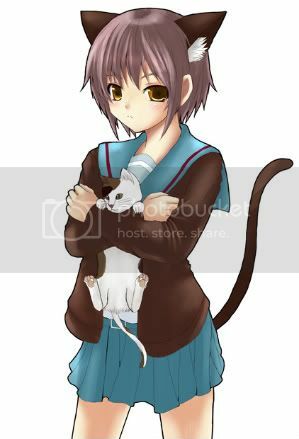 Two Mitsuki's Quite different yet both attractive..
You really like your Mitsukis, eh? 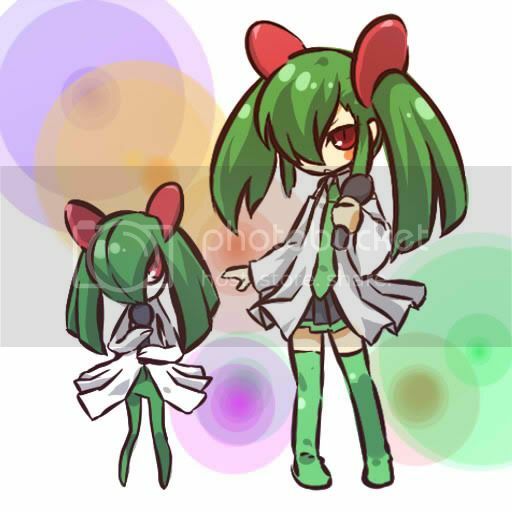 Panda-chan should recognize this one. Pretty sad since I recently rewatched Girls Bravo. Were I a small girl I'd probably 'Squee'. But being me... I'll just drool.